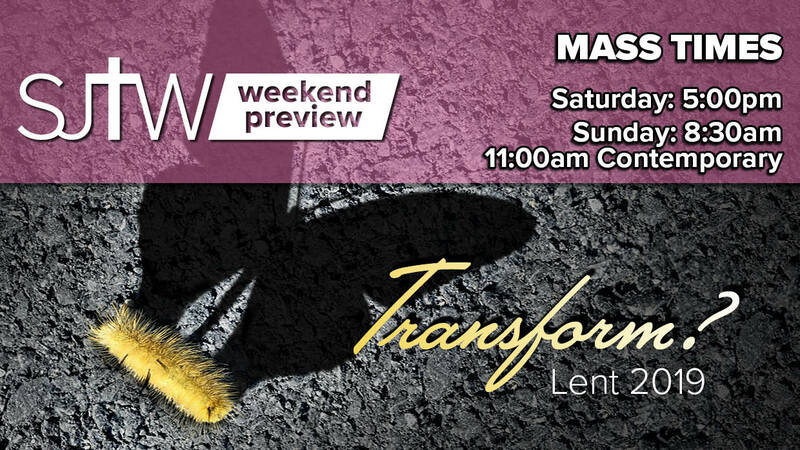 Father Tom joins us for the Fourth Sunday of Lent. During Lent, the First Readings tell the story of Salvation History in the Old Testament of the Bible. In this weekend’s First Reading, God says to Joshua, “Today I have removed the reproach of Egypt from you.” The Israelites celebrate Passover. The morning after, they eat the produce from the land. That same day, the manna ceased because the Israelites could now eat the yield of the land of Canaan. In the Second Reading, Paul tells us that whoever lives in Christ is a new creation. This is because God has reconciled us to Himself through Jesus and has given us the ministry of reconciliation. Paul writes, “God was reconciling the world to Himself in Christ, not counting their trespasses against them and entrusting to us the message of reconciliation.” Then Paul tells us that we are ambassadors for Christ. To share the message of reconciliation with others, we must first be reconciled to God who sent His Son to save us from sin. During the 11:00 Mass, we will welcome a new member to God’s family through baptism! As you may remember, early last summer and late last fall, we asked the Parish for some 3-minute feedback as a way to offer you a quick, practical way to share your thoughts with parish leaders. The feedback weekends asked for your thoughts on our worship services and how we can more effectively re-engage those who are unchurched or who may have become disconnected. We want you to know that your feedback was all reviewed, analyzed and prayed over. And, based on the responses, we believe it’s a good time to delve deeper into these topics. To aid us in that, we will hold two parish listening sessions this weekend, March 30 and 31 – after the 5:00 Mass and one between the 8:30 and 11:00 Masses, both in church. These informal conversations will help all of us continue our work of evangelizing Christ. Please join us at one of the sessions to share your thoughts! The crib for the Knights of Columbus’s annual “Baby Shower” in in the back of church until April 14. There is a list of needs posted. All proceeds will go to Birthright. Rejoice in receiving the sight of faith. Rejoice in having the grace to change. Rejoice in reconciliation with God.